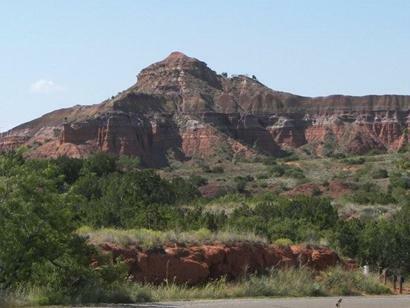 Known as Canyon City until 1911, the town's name was first suggested by blacksmith A. L. Hammond after Palo Duro Canyon. A man named Lincoln Guy Conner surveyed the site in late 1887 and platted the town in 1889. 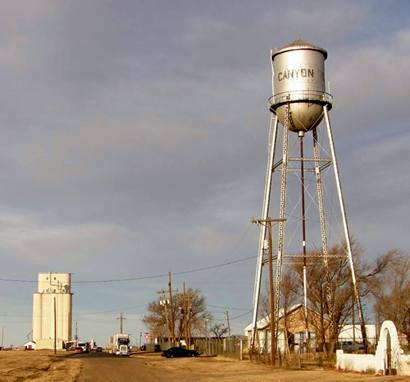 Conner refused to have the town named after himself, a gesture so rare in Texas that it deserves mention. Conner's dugout home served as the community store and post office. With the organization of Randall County in 1889, Canyon City was chosen county seat. 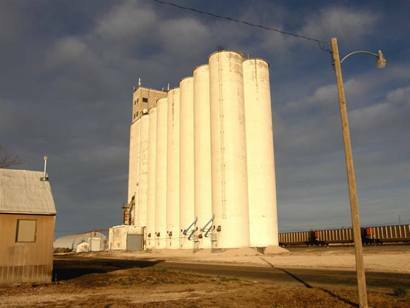 Without a railroad, lumber was freighted in from Quanah - a bone-jarring 140-mile wagon trip. Conner built Canyon City's first hotel - and didn't name it after himself - choosing instead the "Victoria." Newspaper publishing in Canyon City began in 1890. Mastheads bearing the names Echo, Keystone, Headlight, and Battleship came and went. In 1896 the Stayer was published. The name was intended to show the publisher's dertermination to stay in business. It was sold in 1903 - and was renamed the rather bland Canyon City News. After papers called the Battleship and Headlight - can you blame them? The News was bought in 1908, renamed the Randall County News. This lasted until 1920 when it was bought again and named the Canyon News. Don't worry, questions concerning the newspapers of Canyon won't be on the test. Telephone service arrived in 1896 and two years later the railroad arrived (the Pecos and Northern Texas). Once again Mr. Conner strengthened the town by donating land alongside the railroad where acres of cattle pens were constructed. He didn't name these after himself either. The Handbook of Texas saw fit to mention in their history of Canyon that one W. C. Kenyon ran a wagonyard and seven saloons. This may be the first documented case in Texas of a businessman taking parking into consideration for his patrons. 1907: Santa Fe railroad connects Canyon City to Plainview - wiping out stagecoach service between the two towns. 1908: Canyon City gets electricity, an ice plant and a volunteer fire department. 1909: More infrastructure is installed with a waterworks and sewer system. 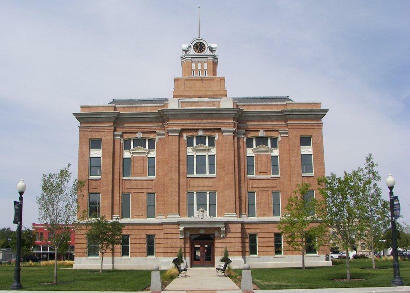 The brick courthouse is constructed this same year. 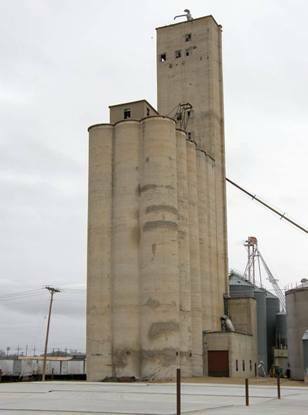 1910: Canyon City is connected to Floydada with construction of the Santa Fe's Llano Estacado line. 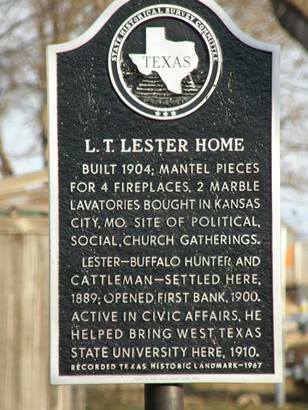 West Texas A&M University - then known as West Texas State Normal College opened on land (once again) donated by Lincoln Guy Conner. Classes were first held in the county courthouse. A brick school is built. 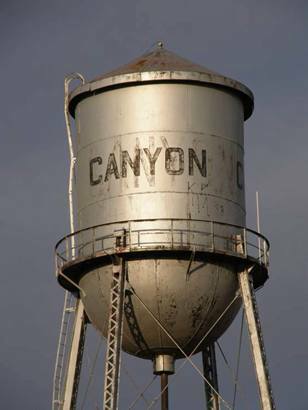 1911: Canyon City officially becomes Canyon. 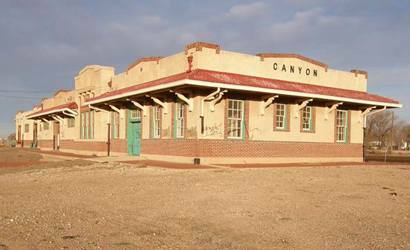 1915: Canyon's population reaches 1,500 the population was 1,500, and the town can boast a twenty-five-room hotel (the Palace). 1921: On December the second, the southside of Canyon's town square is destroyed by fire. Prosperity continued throughout the 1920s. New infrastructure included paved streets, streetlights, and natural gas connections. 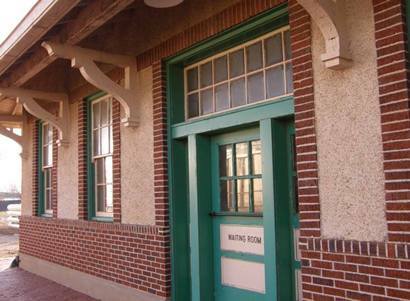 The railroad even built a new depot and both elementary and high schools received new buildings. A county library opened in 1927. 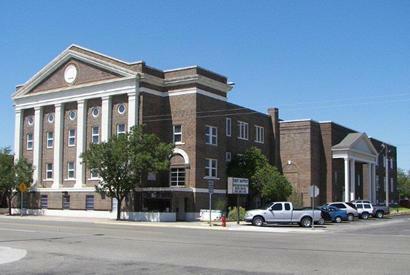 The famed Panhandle-Plains Historical Museum was established in 1932 (expanded in 1985) to preserve the region's heritage. WPA projects in the 30s built new buildings on the college campus and a new post office was construct and decorated with a government-funded mural. One of the better regional museums in the state. The museum building itself (c.1933) is often featured in architectural guides of Texas for it's decorative and uniquely Texas details. 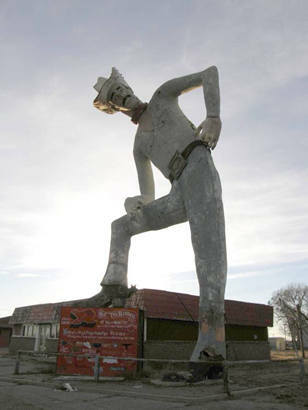 Big Tex Randall - This relic from the golden age of oversized and anatomically incorrect barkers was built in 1959. Buffalo Lake National Wildlife Refuge - 7,677 acres. A major waterfowl refuge, winter haven for ducks and geese. � you can�t miss it. 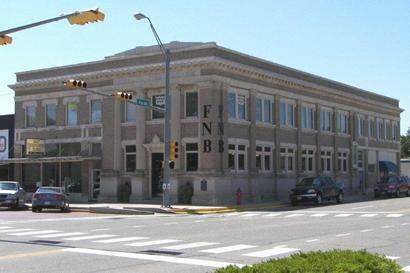 "The old First National Bank Building was completed in 1909 and designed by R.G. Kirsch, the architect of the 1908 Randall County courthouse." "First Baptist Church of Canyon. Construction began in 1929 but was not completed until after the Depression." I read with interest your article on Waldine Tauch and her father. Thank you for this. However, I would point out that seven Tauch pieces are part of our collection, including the original plasters from which the bronzes were cast for the Texas Ranger, Pippa Passes, Higher Education, and Buckner Group. Tauch had a special relationship with Panhandle-Plains as she also left twelve Pompeo Coppini pieces to PPHM as well. 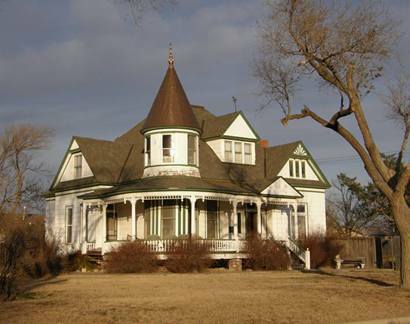 You might add Canyon and Burnet (Buckner Children's Home) to the places one can see her work.